January 5th, 2015 - Posted in Brooklyn. Brooklyn has always marched to the beat of its own drum, with a rich array of cultural enclaves, artistic and architectural triumphs and outdoor attractions separate from its New York siblings. 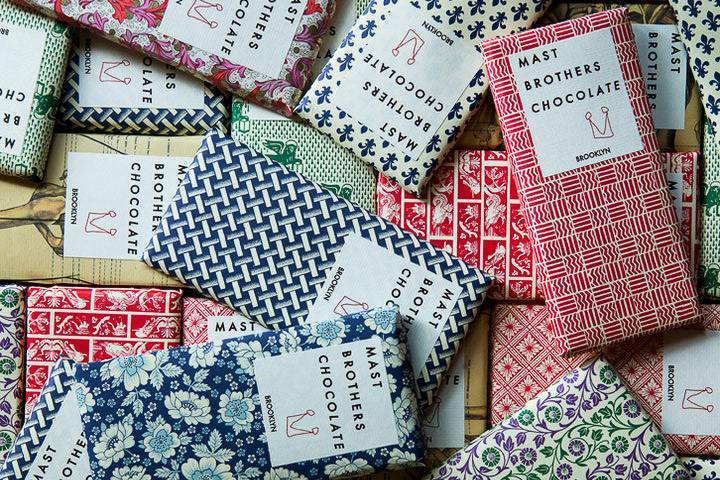 (Check out this Brooklyn guide for further proof.) Recent years, however, have intensified the borough’s popularity. Although the neighborhood of Williamsburg has existed since the early 19th century, the past decade has made it the poster child for Brooklyn’s widespread recognition. Williamsburg lies in the westernmost area of Brooklyn. It is situated north of Bedford-Stuyvesant, south of Greenpoint, west of Bushwick, and east of the East River. Originally an industrial epicenter, Williamsburg is now associated with the hipster and indie music scenes. 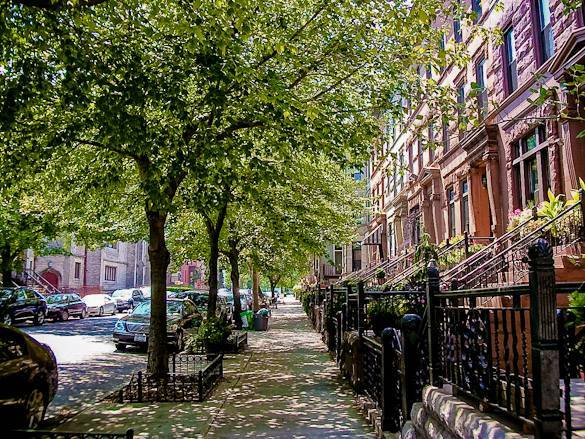 Like much of Manhattan, the borough abounds with celebrities, from current residents like actors Ed Westwick and Zoe Kravitz to those born or raised in the neighborhood pre-reinvention, like author Henry Miller, award-winning star Barbra Streisand, and singer Barry Manilow. 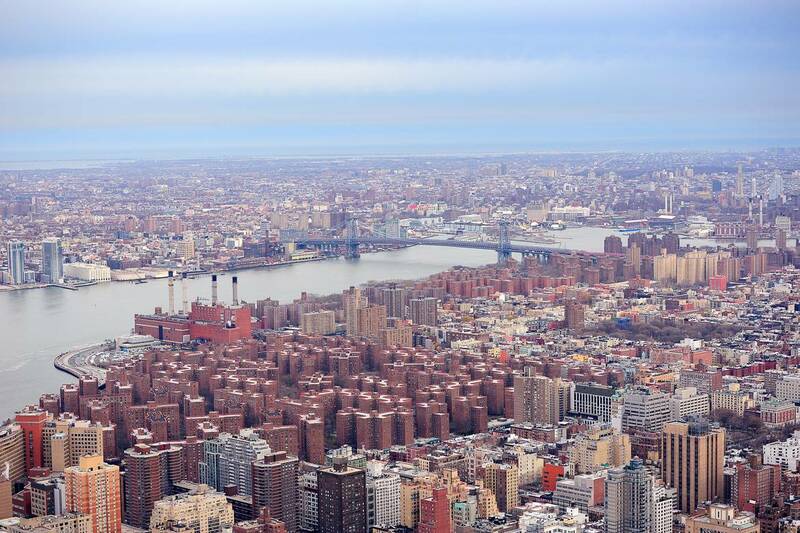 Williamsburg’s proximity to Manhattan makes it an attractive option for anyone living in the city. The Williamsburg Bridge connects the Brooklyn district to the Lower East Side of Manhattan (discover our neighborhood guide of the Lower East Side) while multiple subway lines run underneath the neighborhood. 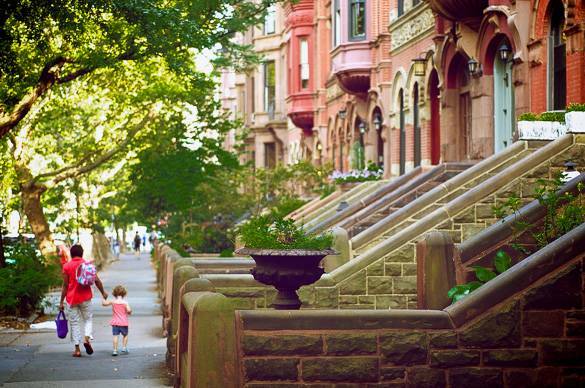 When staying in New York City, don’t rule out the outer boroughs – Williamsburg might just be the perfect fit for you! Given its trendy reputation, it comes as no surprise that Williamsburg is a shopper’s paradise, particularly for those with bohemian, vintage, or eclectic tastes. Main thoroughfares include N 9th Street, home to a selection of hardware and home improvement stores, and N 7th Street which hosts a diverse mix of repair shops and fashionable hotspots. There’s also Grand Street, which extends into the eastern parts of Williamsburg and has its own namesake subway station. Bedford Avenue is the longest street in Brooklyn, and it weaves its way through no fewer than six neighborhoods – and the Williamsburg stretch has plenty of stops to recommend it. 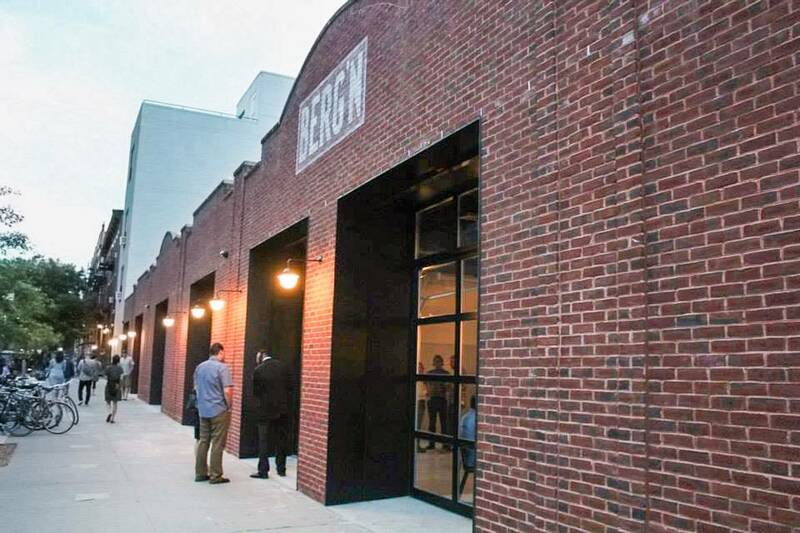 Think Williamsburg is too urban for shopping malls? Think again. Shops at the Loom houses more than a dozen specialty shops, including a handmade clothing and jewelry brand and skateboarding merchandise. The Shops at 240 Kent Avenue also has an assortment of stores, from a handcrafted perfumery to an organic juice shop. If you want to incorporate healthy ingredients into your cooking, shop at Williamsburg’s farmers markets. North Brooklyn Farms seeks to reclaim vacant lots for agriculture and recreation; Greenmarket Farmers Market brings together hundreds of local farms and fisheries to encourage Brooklynites’ support of these independent food makers; and East Williamsburg CSA matches residents with the freshest produce while sponsoring community involvement. When hunger strikes, you’ll never be short on options in Williamsburg: whether it’s coffee, restaurant dining or nightclubs, this Brooklyn district has got you covered. Best restaurants: Barbecue lovers won’t want to miss Fette Sau for its smoked in-house meats. Think poultry and pastry make a weird combination? Not so at Pies-n-Thighs, well beloved for its fried chicken and flaky desserts. 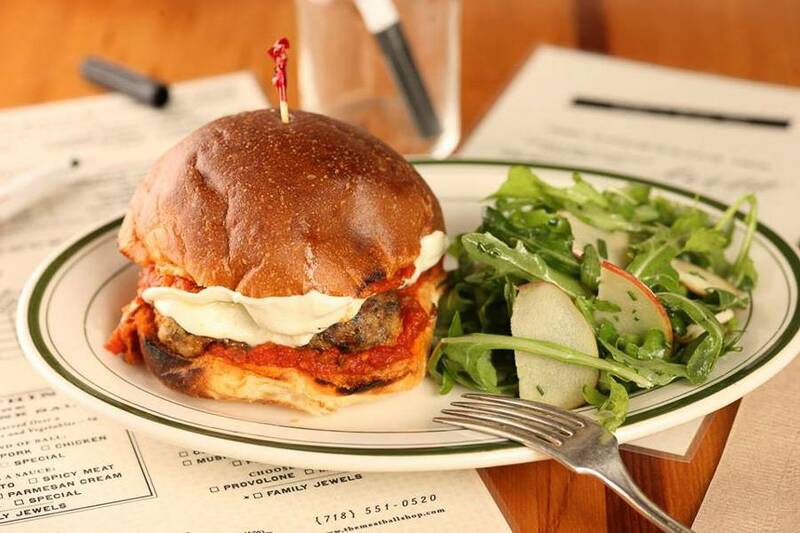 There’s no false advertising at The Meatball Shop, a restaurant specializing in those spherical meats. International fare is what Williamsburg does best, from the Mexican cuisine at Mesa Coyoacan to the Japanese tapas at Bozu. Other eateries worth checking out include Traif, Zenkichi, DuMont Burger, Maison Premiere, Caracas Arepa Bar, Pates Et Traditions, and Rye. Tight on cash? Cheap eats can be found in the vicinity, where an average meal will cost you less than $8. Falafel connoisseurs need to check out Oasis for this Middle Eastern staple. American stadium food – hot dogs, chips and dip and, yes, cheese puffs — is always on the menu at The Levee, where you can challenge your friends to a game of pool or beat the high score at pinball. Patrons rave about the sandwiches at Graham Avenue Meats and Deli, the perfect place to pick up a quick lunch. And what would New York be without its pizza, the best in the world? You can choose between the unique creations of Vinnie’s Pizzeria or the more traditional Carmine’s Pizzeria. (And we have more recommendations for the best pizzas in the city). Also worth noting are Crif Dogs, The Bagel Store, Vanessa’s Dumpling House, and Nam Nam. Need your caffeine fix? There are coffee shops aplenty in this neighborhood. Blue Bottle Coffee takes pride in vintage coffee making techniques – and with hot coffee made to order, they take this process seriously. Black Brick is a great winter getaway for its cozy, rustic charm in the midst of a metropolitan city. For a full-service café, House of Small Wonder brings European chicness to the streets of Brooklyn. 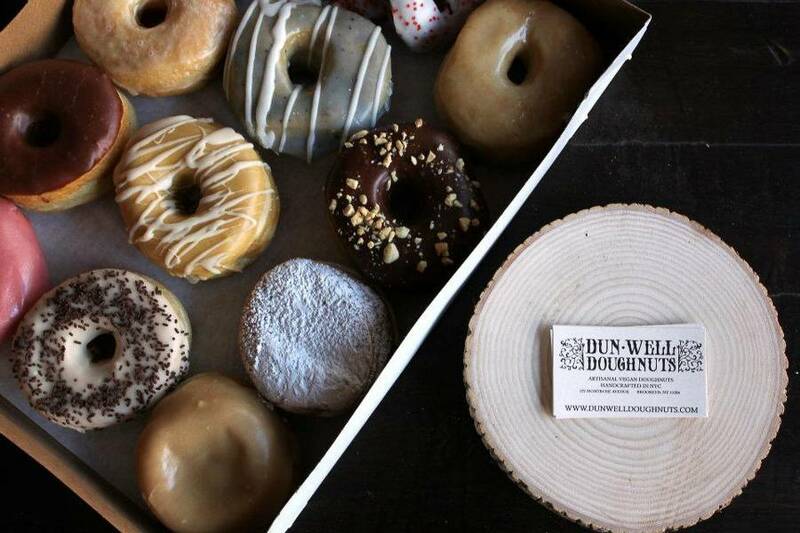 And what’s coffee without its tasty complement, the doughnut? Thankfully, Dunwell Doughnuts has an extensive menu of over 200 flavors that rotates daily, so you can try something new at each visit! Don’t forget to stop by Gimme! Coffee, Fortunato Brothers, Toby’s Estate Coffee, Bakeri, and Oslo Coffee Roasters. Some of our other favorite coffee spots across New York are compiled in this helpful list. And what better food to complement your cup of java than bagels? (We can help with suggestions on the best bagels, too). After hours, kick back at one of the district’s multiple bars. 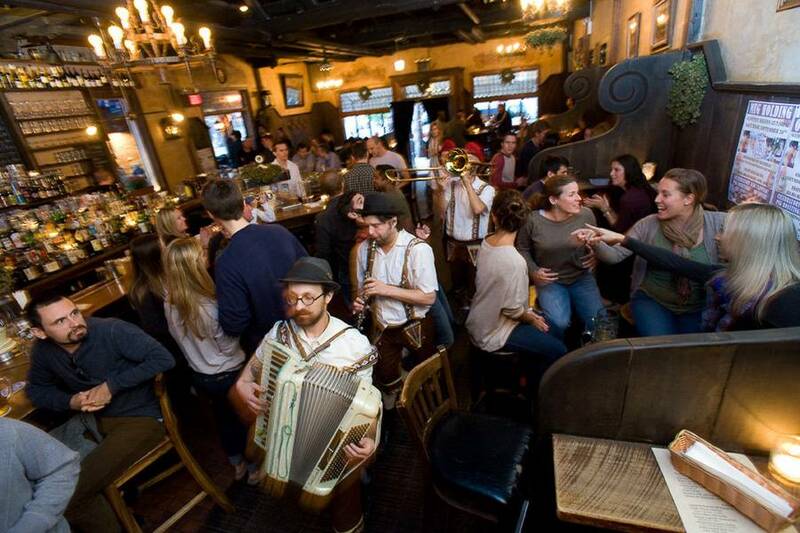 Radegast Hall and Biergarten transports visitors to an authentic German beerhall, complete with live music every night. Barcade is an appropriate portmanteau – it combines the finest beers on tap with a host of classic arcade games. For fancier fare, try Huckleberry Bar – though its creatively named cocktails (examples include I Think I Love You and The Owls Are Not What They Seem) should balance out the formalities. Don’t neglect to include these hotspots on your barhopping list: Union Pool, Café Moto, Alligator Lounge, Spuyten Duyvil, Berry Park, The Whiskey Brooklyn, Hotel Delmano, and The Gutter. A diverse selection of nightclubs await crowds in Williamsburg. Verboten represents the cutting edge of modern entertainment, with state-of-the-art speakers and visual art displays. This n’That is raunchy and fun, with frequent drag shows and outrageous events catered to its mostly LGBTQ clientele. For a more relaxed setting, take a trip to The Woods, where you can sip spirits on an outdoor patio. Check out Bembe, Output, and TBA Brooklyn, too. Whether you’re looking to make a permanent move or temporary stay, Williamsburg is the perfect neighborhood. New York Habitat has accommodations to fit your personalized needs, and we’ll work with you throughout the process. If your time in Brooklyn is short-term, might we suggest our Williamsburg vacation rentals or a bed and breakfast? These accommodations will provide comfort no matter how long you’re in New York. With centuries’ worth of history, it should come as no surprise that Williamsburg is home to several notable museums, landmarks, and parklands. For a quirkily cultivated collection of New York relics, stop by the City Reliquary. This museum displays everything from architectural fragments to subway artifacts, providing a unique glimpse into New York City history, and sponsors community events. Another non-profit institution is the Williamsburg Art & Historical Center, which links the artistic world with the Williamsburg public. Rotating exhibits and events speak to the ever-changing trajectory of art in contemporary society. 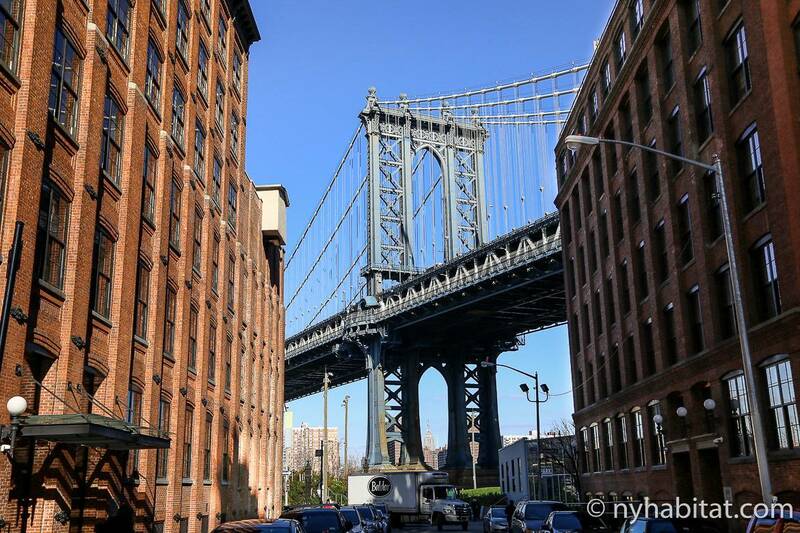 For architecture buffs, Williamsburg is a prime touring site. The Dime Savings Bank of Williamsburg stands proudly near the Williamsburg Bridge and remains an impressive example of neoclassical design. 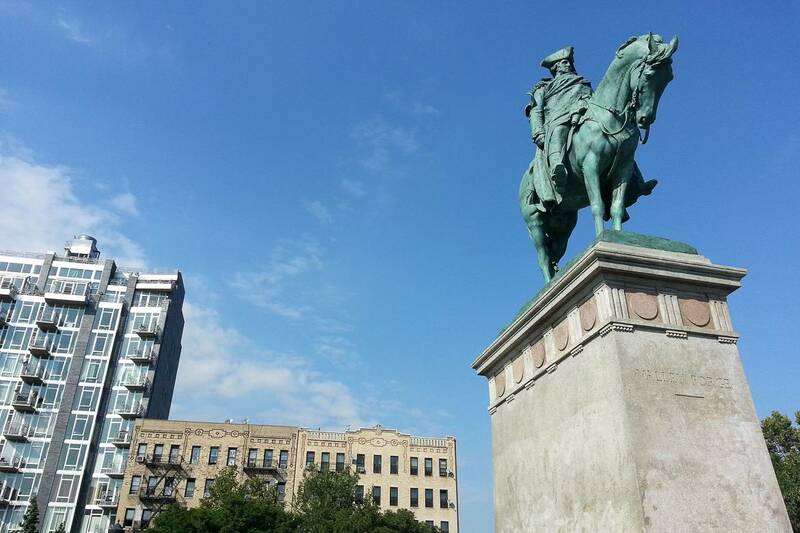 A sculpture of George Washington graces the Continental Army Plaza; the small park was built alongside the Williamsburg Bridge. 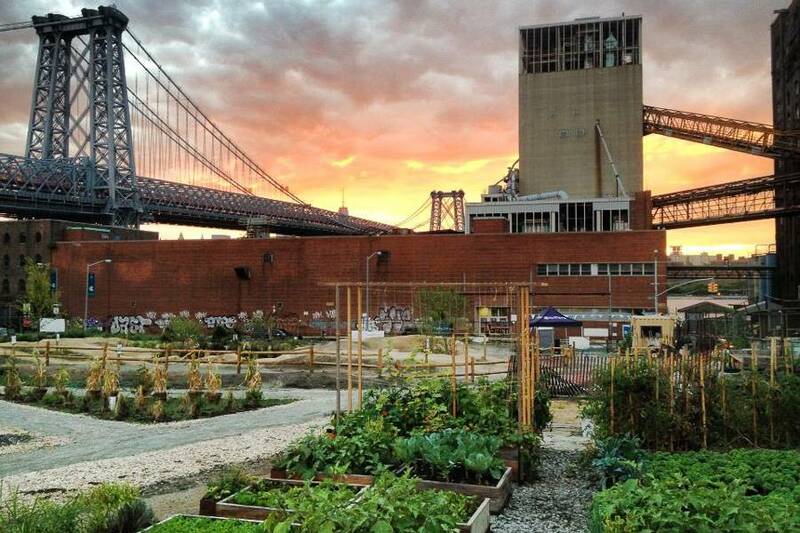 Once the biggest sugar refinery worldwide, the Domino Sugar Factory is now in redevelopment. Many of the buildings have been gutted and demolished already, and it is unclear if any structures on this historic site will survive the construction. See it, if possible, while you still can. Want to experience the great outdoors in the urban jungle? Williamsburg can help with that! 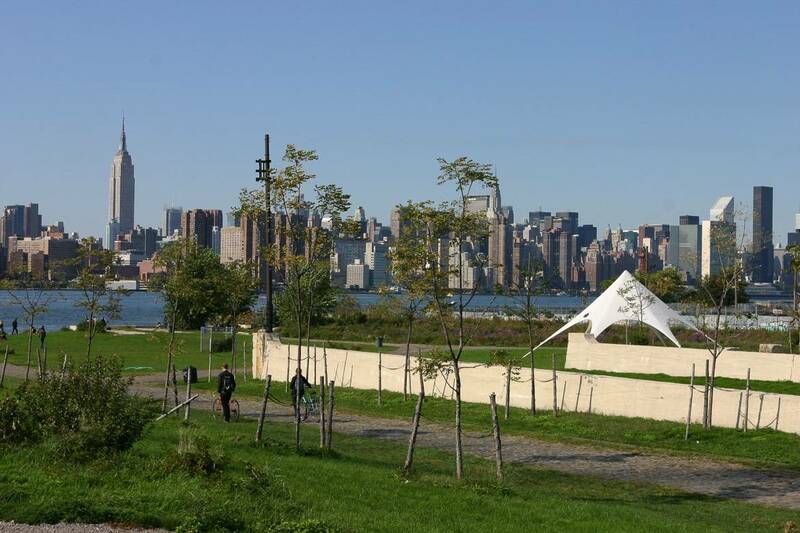 Perhaps the most famous example is the sprawling, seven-acre East River State Park, whose wide green spaces and spectacular panorama of Manhattan attracts residents and visitors alike. The reinvented McCarren Park appeals to the public for its sports-friendly facilities and seasonal fairs. The waterfront Grand Ferry Park, named for the aquatic transport for passengers and farm produce of the 1800s, is a great spot for jogging and admiring plant species native to the area. Inventor Peter Cooper is commemorated in name at Cooper Park. The dog run is especially popular for canine owners! 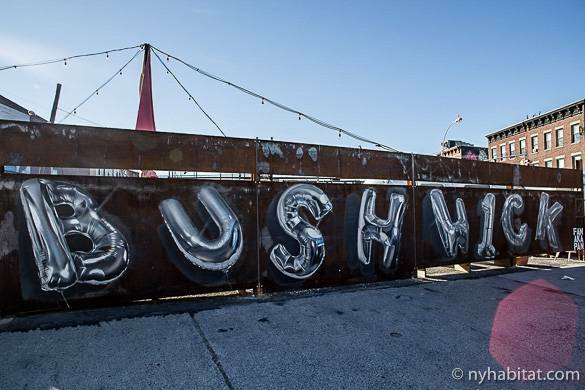 What are your favorite spots in Williamsburg, readers? Like many of Brooklyn’s once-undesirable neighborhoods, Bushwick is emerging as one of the hottest new areas for young people to live in New York City….